Today, in-flight Wi-Fi is a fairly terrible experience - if it's offered at all - but one of the biggest companies in the field has promised that improvements are coming in the near future. 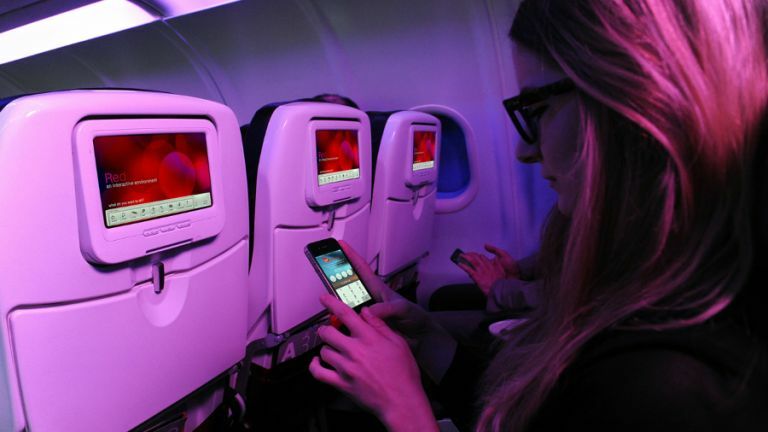 That's good news for anyone who wants to catch up on their Netflix binge-watching in mid-air. Gogo operates in-flight Wi-Fi services on most domestic flights in the United States and has been busy telling investors about its upgrade plans, as reported by Buzzfeed. Those plans include a 10x speed increase and a more reliable connection as you race through the air. At the moment Gogo's rather patchy internet service is only available while you're over land, but the company wants to transition to a satellite-based system so it won't matter where in the world you are, as long as your plane can see space. Gogo says speeds will come down and performance levels will go up over the next 10 years as new technology arrives. Even the rather unreliable Wi-Fi on offer in the US puts it ahead of most of Europe, where you'll be lucky to get internet access at all when you clamber on board an aircraft. British Airways did carry out a test run last year but a regular service is still some way off - let's hope by the time it arrives it's at a speed that makes logging on worthwhile. Liked this? Check out our roundup of the best ultrabooks.